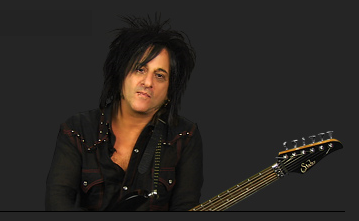 Steve Stevens of Billy Idol fame is also a Jam Play tutor! I have just finished my latest guitar lesson with the legendary Steve Stevens and I have to say he is a very good teacher. You might ask how on earth could I afford to pay for a lesson with the guitarist who became famous as the lead axe man for Billy Idol. The answer is that it only cost me $19.95 for a month of access to Jam Play the best on-line guitar tuition program that I have found. In GBP that is just under £13 which, when compared to a guitar tutor, is pretty good value in anybodies book. Now I have to say that as I am writing this review I am still on quite a high having just finished the lesson because Steve Stevens was one of my absolute guitar hero’s from the 80s. For those who have not heard of him Steve Stevens became famous as the guitarist for Billy Idol but he has also collaborated with artists such as Michael Jackson and Vince Neil. He also lent his guitar playing prowess to the Top Gun theme. So you could say he might be ok to have as a guitar teacher, and I can quite confidently say that he was great. But tomorrow I might want to try something different and maybe add a new style to my guitar playing. So I might try Mike Mushok from Staind or give Flattus Maximus from GWAR fame a go. I can do this because the guys at Jam Play have hooked up with some of the best guitar playing talent out there to deliver great guitar lessons at an amazing price. As we all know there are many ways of learning to play the guitar. You can employ a guitar tutor, buy or borrow one of the many tuition books or try the internet. For many of us the internet is often the first port of call and it is easy to see why. Over the years the internet has revolutionised the field of guitar teaching opening up the market of guitar tuition to huge innovation but this has not always led to better quality. There are some shoddy operators out there and so you have to be careful before you part with your hard earned cash. However, Jam Play I honestly believe is very different. First they have been around since 2007 and have rapidly grown to be one of the leading providers of online guitar and Bass tuition. A membership of over a quarter of a million guitarists suggests that they know what they are doing and are providing something that is worth paying for. For me the main benefit is that you don’t get just one teacher you can choose from 68 different teachers covering everything from Bass guitar, acoustic guitar, rock, blues and metal. Furthermore the guitar tutors are not just your average Joe down the street, you can choose from some of the best talent available. How do you learn with Jam Play? The lesson formats are great with everything captured in high resolution video and the lessons transcribed so that you can print them out. I particularly like this feature as it means that the lesson can be accessed even with the computer switched off. 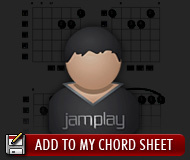 You can access a comprehensive library of chords and add them to your personal chord sheet. The material is comprehensive, there are over 3896 lessons and Jam Play are committed to adding more great new. For example they have consistently added 11 hours of new content to the site every 30 days. The lessons cover all areas of guitar play from the basics such as chords and scales through to the more complex finger techniques such as fret tapping. 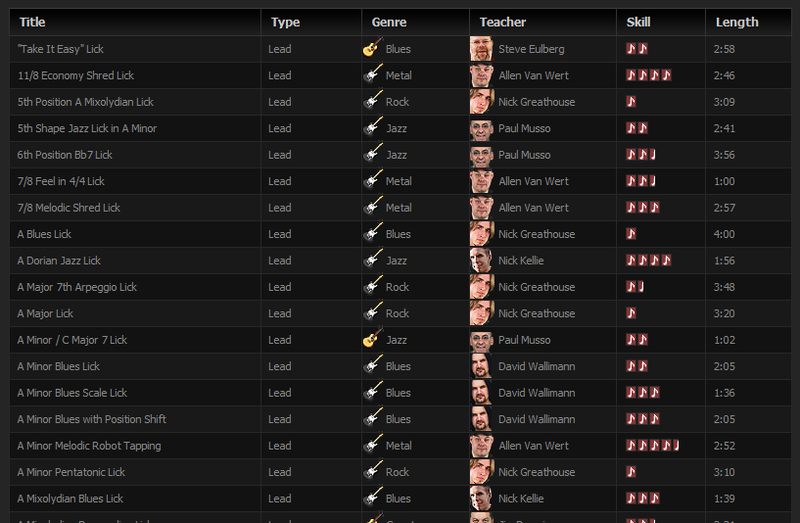 For example as a member of Jam Play you can access a library of over 950,000 chords. You can access these chords in any key or any tuning and then simply add them to your personalised chord sheet to aid your practice. Whether it is a group of chords that you find difficult or a chord progression that you want to practice, by creating a custom sheet of all the chords that you want to learn you maintain focus and progress quicker as a guitarist. In terms of scales the Jam Play scale library is exceedingly comprehensive. If you want to learn some exotic scale in a particular key then Jam Play will show you how to play it. 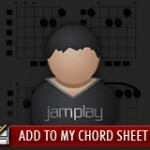 Jam Play provide fretboard diagrams, playing applications, theory and examples of famous guitar solos where that particular scale has been used. You can improve your scale understanding and soloing techniques by using the Jam Play backing track. These are specially recorded high quality backing tracks which allow you to practice your soloing skills in any musical genre and any key. Just select the musical genre, blues, rock, or metal for example. Select the key that you want to play in and the track will start. The Jam Play dashboard will also make suggestions of scales to use for each backing track and notates the backing track for you. If you want to download any of the backing tracks to your computer then the option is there for you to do so. If you are looking for inspiration or just want to practice some killer guitar licks then Jam Play features a comprehensive lick library which you can access. The licks can be filtered by lead or rhythm guitar, genre, the teacher that taught it or by how difficult it is to play. The licks library is designed to provide a short burst of ideas and inspiration to take your guitar playing forward and accompany the more lengthy guitar lessons. So if you are looking for some instant inspiration the lick library is a great feature to have. If you are looking for inspiration then the Jam Play Licks Library offers a short burst of guitar playing ideas. You can sort by rhythm or lead guitar, musical genre, teacher or how difficult it is to play. All in all it is a truly comprehensive way of learning to play the guitar and I have found it has helped to push my guitar playing to a more advanced level. What about learning actual songs? For me I really feel a sense of achievement if I can nail a song on the guitar. Let’s face it there is nothing more rewarding than picking up the guitar and launching into a rock classic to the admiration of your friends and family. Jam Play have got comprehensive lessons solely devoted to learning particular songs. For example the lesson with Steve Stevens that I have just finished was one where I learnt to play the Billy Idol song Rebel Yell in an amazingly comprehensive 20 minute session. You get to learn the techniques that they use to make the song come alive and the guitar rig that was used to record the sound. Below is an example lesson by Flatus Maximus from GWAR taking you through how to learn Bring Back the Bomb. Don’t forget as well as being taught the song by the guitarist who wrote it the lesson is fully transcribed too. Finally the online platform is second to none. You get full member support so if you have any difficulties they are resolved quickly. There is a great online community where you can meet and interact with other members. There are user forums, live chat and a messaging system all of which I think are invaluable for progressing as a guitarist. The ability to share ideas and experiences with other guitarists is a real plus point in my view, especially if you are a novice guitarist. All in all the Jam Play guys have come up with a fantastic tuition program which is excellent value for money at $19.95 for a 1 month membership. This works out at only $0.67 per day. However, if you sign up for a one year membership it will set you back $139.95 (that’s roughly £87) working out at just $0.38 per day. There is the added protection that if you don’t like what Jam Play has to offer within the first 7 days of starting your membership Jam Play will refund you all of your money. I can’t recommend Jam Play enough, it is the most comprehensive online guitar tuition programme that I have seen and suggest you give it a go. With a money back guarantee you really don’t have much to lose. To sign up click on the link below. Affiliate disclosure: The author and the top-guitars.co.uk website act as an affiliate for Jam Play. This means that we receive a commission for every new member that signs up from our referral. However, we always test fully the service before recommending it to readers of this site and we love Jam Play so much that we are paid up members of the service. Is the Songsterr Guitar App any good? Learn to play the blues.